Authorities say an Anamosa prison inmate has died of natural causes. 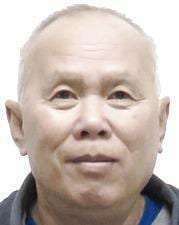 The Iowa Corrections Department said Tuesday that 67-year old Paeng Saengaroun died Saturday afternoon. It’s unclear whether he died in the prison or a medical facility. He’d been sentenced to life following his 1997 convictions in Buena Vista County. He was convicted of two counts of first-degree murder for killing his wife and father-in-law in Storm Lake.